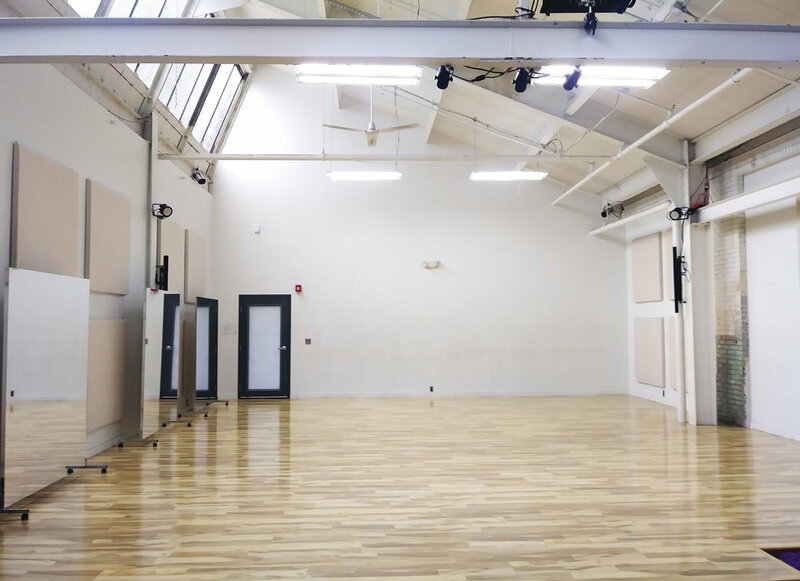 Our 2000 sq foot loft space sports a 27×32 foot sprung dance floor, dressing room, and an art studio where we create fine art works and sound projects. The white walls and 30 foot ceiling lined with an opaque sun roof makes for a comfortably light and airy creative space. The studio is equipped with a sound system, a community computer, a few small LED lights, and 20 folding chairs for informal gatherings and performances. For more information, contact us at info@pearlartsstudios.com. We are located at 201 N. Braddock Avenue. Please use the entrance about 200 ft off Thomas Blvd, where the parking lot is also located. For entry into the building, please give us a call at 412-512-5088.